Michael Bawtree owes his cultured start in life to the rambling country house hotel his parents owned and managed in the 1950s. What it lacked in income it made up for in style and in the quality of the guests, who included dukes and professors as well as dozens of prominent names from the arts and academia, from C S Lewis and Iris Murdoch to Sir Adrian Boult. Unsurprisingly, Michael quickly developed a talent for literature, drama and music which eventually, after he had read English Language and Literature at Oxford with Christopher Ricks as his tutor, took him to Canada, where he embarked on a career in the theatre. 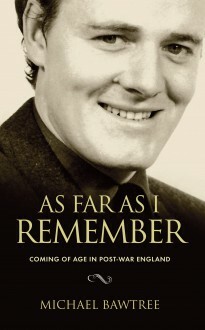 As Far As I Remember is part 1 of Michael’s story, covering his formative years, from a wartime childhood and years at a rural prep school to an education at Radley College, where a close friendship with Peter Cook, already on the brink of fame as a comedian and satirist, helped to propel him towards a theatrical career. The story of his later life as a prominent actor, playwright and director in Canada will be told in Volume 2.